Wyandotte Co-op Apartments is an amazing 11 story, 132 unit senior community. Doors originally opened in 1965 and the city of Wyandotte has never been the same since. Almost 50 years later, this volunteer run senior co-op is still thriving, and for good reason. The resident members have a say in the management of their home which results in a community that is custom tailored to the needs of its seniors. Don’t just take our word for it, Wyandotte Co-op is nationally recognized as “A Community of Quality” by the National Affordable Housing Management Association! Applicants must be 62 years of age or older, or between the ages of 55 and 61 with verification of mobility impairment. Wyandotte Co-op is gradually transforming into a 100% smoke free co-op. While no one is allowed to smoke in any common area of the building and within 25 feet of the building, there are approximately 65 members who are still permitted to smoke in their own apartments because they signed a waiver prior to the full implementation of the new smoking rules. All new members as of February 15, 2018, are not allowed to smoke inside their own apartment. As a resident member, you can partake in any number of activities and events that are happening in the co-op on a daily basis. Being that this community runs on volunteer power, resident members are able to work on committees and/or run for a council position. Some examples include bingo, bunco, poker, holiday parties, and monthly council and general membership meetings. If relaxing is more your "thing" then you have come to the right place because this co-op is full of more than a dozen community rooms, almost all of which have balconies that overlook the Detroit River. You couldn’t ask for a better location for a senior community. Bishop Park, Henry Ford Hospital, historic Bacon Memorial Library, and the Detroit River surround this co-op. Take full advantage of your independence by using the sheltered bus stop which is located directly outside of the front door. The city of Wyandotte has everything that anyone could want, desire, or ever even dream of, and all of this is located within a few blocks of the co-op. Wyandotte Co-op is affordable for everyone. Many units are subsidized, and all of them are affordable. So don’t wait! Call for tours! Join us today! SeniorHousingNet.com provides all the available details for facilities or services that Wyandotte Cooperative provides at 2455 Biddle Ave, Wyandotte, MI, 48192. Wyandotte Cooperative provides 55+ Lifestyles, Independent Living, Low Income-Affordable for seniors in Wyandotte, MI. 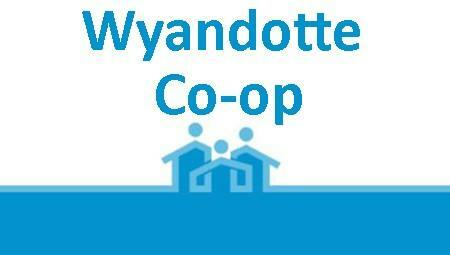 We invite you to contact Wyandotte Cooperative for specific questions. However, for a quick overview, explore the above community details like amenities and room features to get a sense of what services and activities are available. After you browse the community photos, read the latest articles related to senior living. Search SeniorHousingNet.com for additional senior housing options near 2455 Biddle Ave.